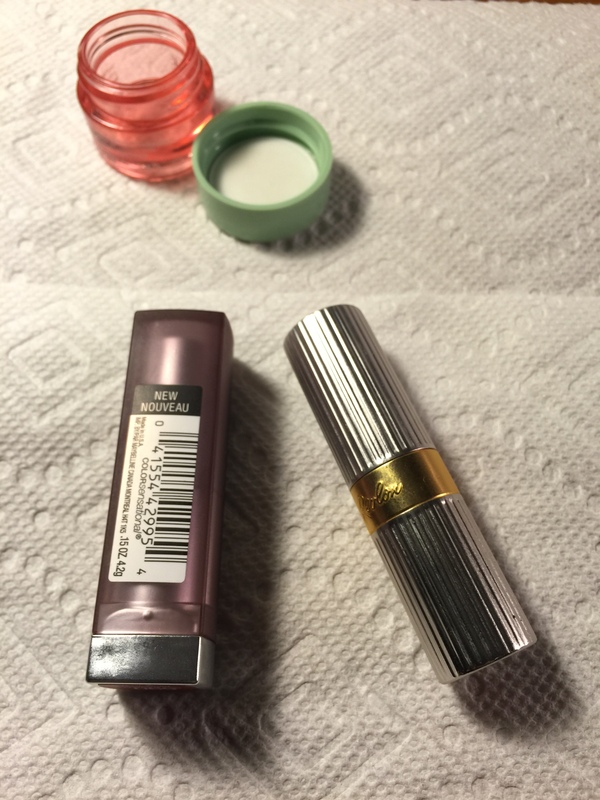 Crafty Weekend Project – Refilling a Vintage Lipstick Tube! 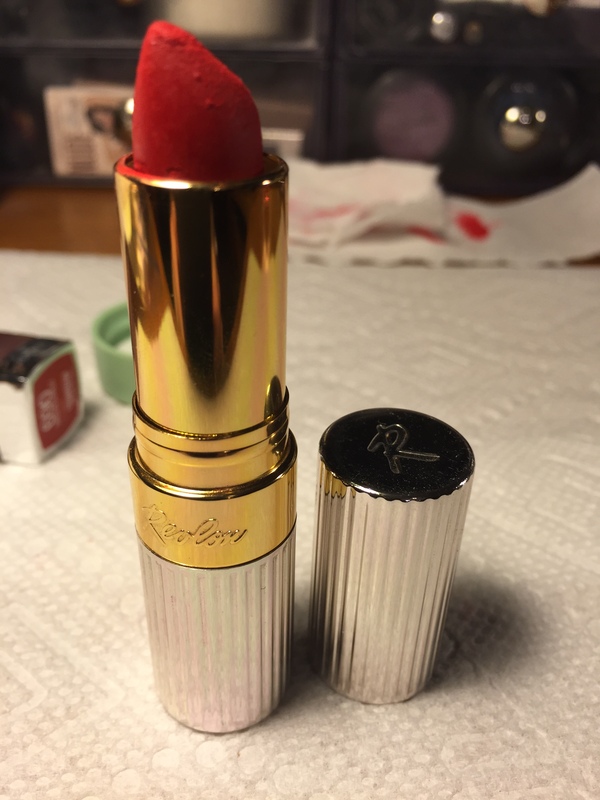 OK, so I’ve had this reproduction vintage tube of Revlon Fire and Ice lipstick for a few years now. When this came out, I went crazy for this gorgeous metal tube and had to have it. I’m into women’s history and that of course includes the makeup and fashion. This color has been around since the 1950s. Unfortunately, this red shade is very orange and just doesn’t look the best on my pink toned skin. But…the limited edition tube is gorgeous. Yesterday I obtained the Maybelline Color Sensational Creamy Matte Lipstick in Siren In Scarlet. It’s pretty much the perfect blue-based matte red on me. I actually do like the packaging on the lipstick as far as drug store lipstick goes, but a lightbulb went off in my head. Can you put a lipstick into a vintage case? I turned to blog posts and youtube for the answers. This YouTube video by D Beauty Liv has the best tutorial on how to do it! 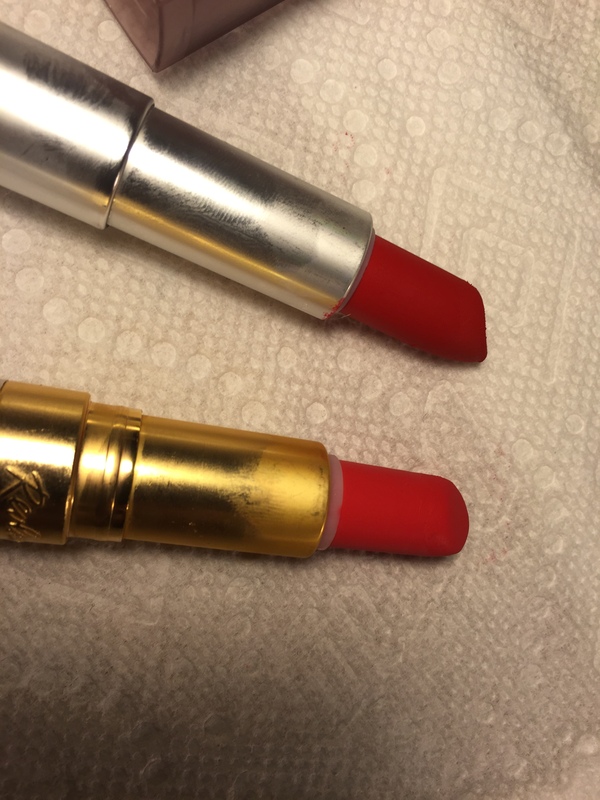 So, last night I put my 2 lipsticks in the freezer and hoped for the best. Today, I put down some paper towels on my desk and got to work! 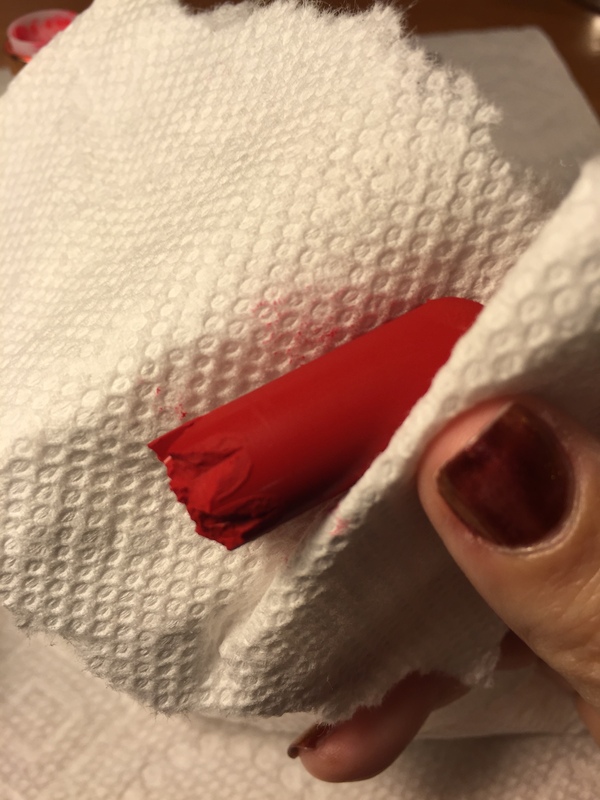 I washed my hands with antibacterial soap and cleaned out a little eye cream jar with alcohol to put the Fire and Ice lipstick in (in case I get crazy and decide to wear it…hey, you never know). I’ll be damned! It came out so easily and in one piece! 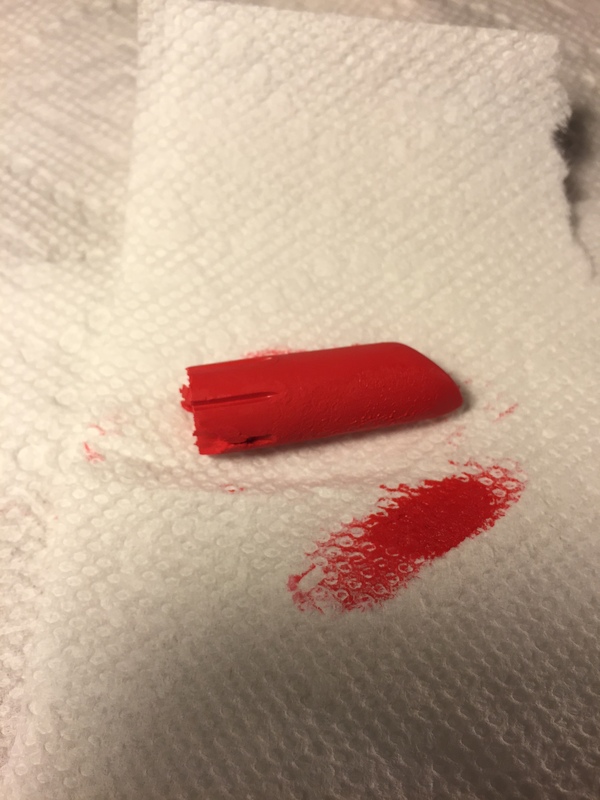 The inside of the tube has grips to grab the lipstick bullet, so when you gently slide the other one in, it grips the bullet. Nice! Siren In Scarlet ready to go in the reproduction vintage Revlon tube. It fit perfectly! Would you look at that! Now it can be rolled up and down with ease and is perfectly snug in its base. 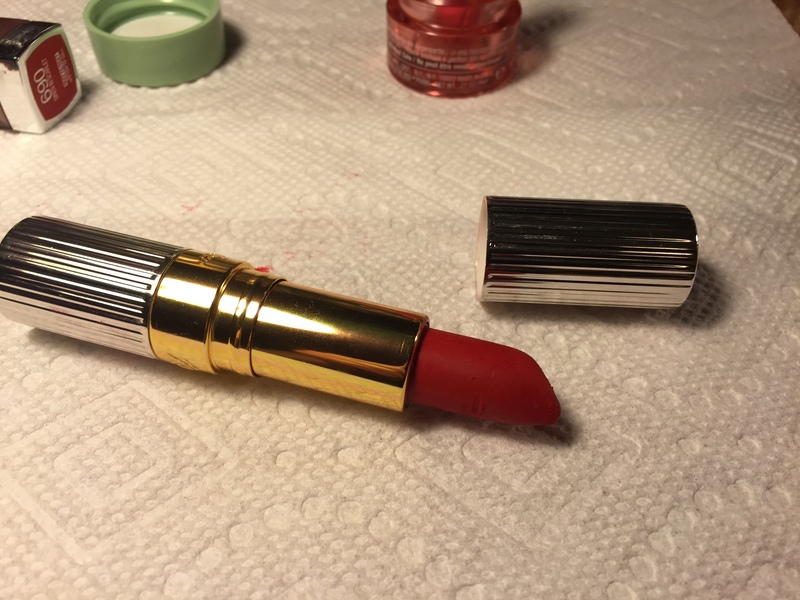 You know, I remember reading somewhere that Dita Von Teese put MAC lipsticks in vintage cases and thinking, “yeah, but she can probably touch things and turn them into unicorns and if I tried it, they would break into a million pieces.” So, I am pretty damned happy that this didn’t turn into a disaster. Now I can stick this into my 1950’s vintage evening bag when I go to the club and feel all fancy. 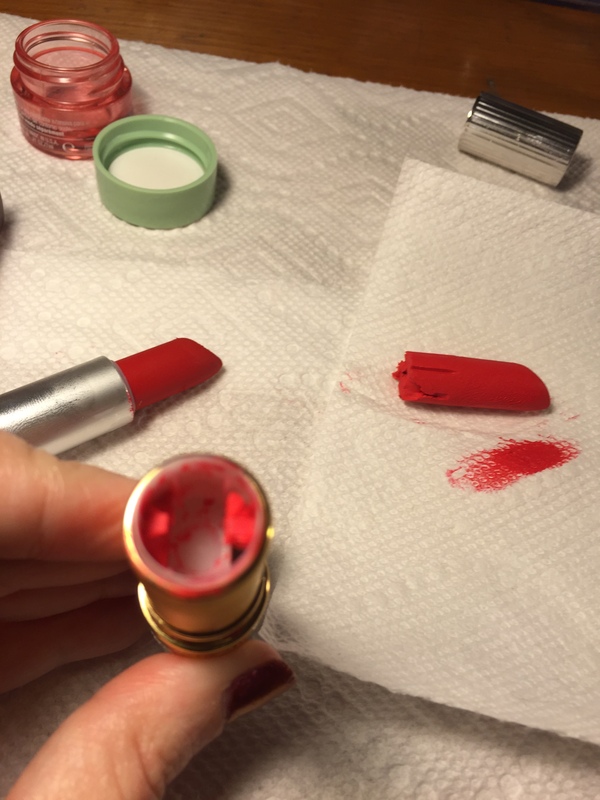 FYI: If your lipstick tube is *actually* antique, as in from the 1950s or earlier, there’s a good possibility the diameter of the lipstick is going to be much smaller, so you will need to eyeball it to see if your desired lipstick is going to fit in there. 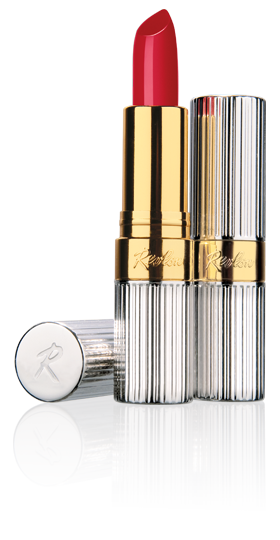 Our modern day lipsticks are quite a bit bigger than they were back then. You can, for example, hold up an old Coty lipstick and see that they are very small compared to our great big lipsticks of today – so just keep that in mind! What kind of crafty things do you do with makeup? Do you press loose powders, decorate compacts, etc? Or do you make your own shades? I would love to hear about your projects! This entry was posted in beauty blog, beauty blogger, depotting, Lipstick, lipstick refill, Makeup, matte lipstick, matte red lipstick, maybelline lipstick, orange lipstick, red lipstick, revlon fire and ice, revlon lipstick, vintage lipstick, vintage makeup packaging and tagged beauty blogger, lipstick, makeup, makeup tag by Rachel. Bookmark the permalink.